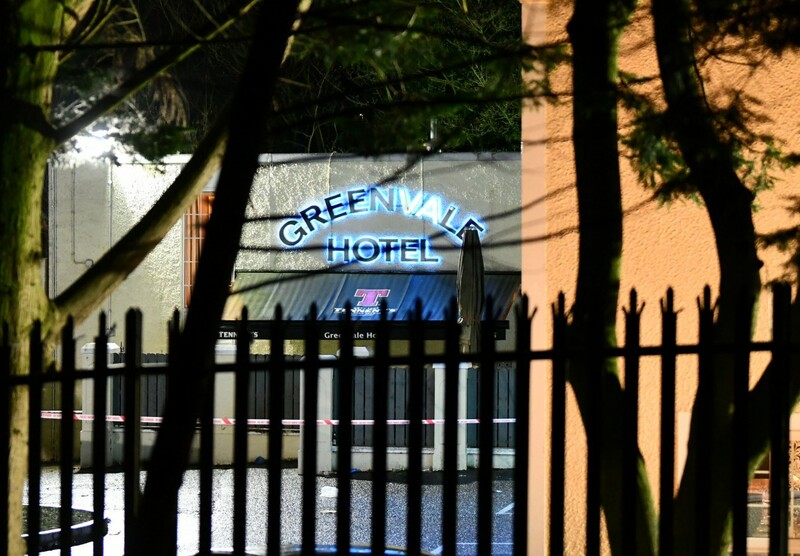 A TEENAGER has spoken of the terrible moment he became trapped and pinned down in a crush of more than 100 young people attempting to gain entry into the Greenvale Hotel in Cookstown last night. Two young people have been confirmed dead in the tragedy at the hotel which happened at around 9.45pm where hundreds were due to attend a disco to celebrate St Patrick’s Day. The teenager, who did not wish to be named, told the UlsterHerald that they were waiting outside when what he described as a ‘stampede’ began. “It was the worst thing I’ve ever experienced, really frightening. I’m traumatised and after this I don’t know if I ever want to go out again,” he said. “We were all outside waiting for the gate to open and to get in. Then, everyone just started swaying back and forth and pushing from side to side. Suddenly there was a rush forward and the whole queue collapsed and everyone fell to the ground,” he said. “There must have been 20 or 30 who fell first and then everyone else just followed. I’d say there were more than 100 who were in that queue and fell. The PSNI have begun an investigation into the circumstances of what happened. Senior officials from Mid-Ulster Council, including its Chief Executive, Anthony Tohill, also attended the scene in the early hours of this morning. The venue’s discos have been popular for many years, attracting teenagers from all over the Mid and South Tyrone areas. It is understood that those who died are from the Dungannon area. Their families have been informed. Mid-Ulster SDLP councillor, Denise Mullen, who was among the first at the scene, said parents and children were in anguish at what had happened. She appealed for people not to share pictures of the scene of the tragedy on social media. “I would appeal for people not to share images on social media because it is very distressing for the families of those who have lost loved ones here tonight,” she said.